Argentina is not a newcomer to the vineyard and wine making community like most other New World wine regions. In fact, the vineyards in Argentina, and here specifically in the Mendoza region, date back 200 years to the founding days of Argentina. Argentina has been the 5th largest wine producing country in the world for many decades, yet they exported virtually no wine until the 1990s. This is the time when Argentines changed from being a predominantly table wine drinking society and started consuming greater quantities of beer. The consequent drop in table wine consumption was the catalyst for a switch to fine wine production, attracting skilled winemakers from Europe and California to elaborate quality wines using the excellent grapes from Mendoza. Since the 1990s, exports of Argentine wine have increased by over 3,000%. During the past 5 years, wine exports have continuously increased from year to year by 10% and more. Just this year, 2011, Argentina has surpassed Chile in wine exports to the United States. The projections for the coming years are that Argentina will produce more wine than the US, bringing Argentina from 5th to 4th placed in the list of wine producing countries worldwide. 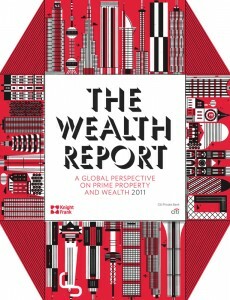 “The 2011 Knight Frank Wealth Report (in connection with Citi Private Banking), a Global Perspective on Prime Property and Wealth” lists Argentina as the only country worldwide that saw vineyard prices rise by two digits between 2010 and 2011, while in comparison almost all markets around the globe have lost value, some substantially. It also recognized Argentina’s Mendoza region as an excellent producer of wine. It also clearly shows that Argentina is still the country with the lowest prices paid for vineyards in the world. To receive our Gavilan Vineyards Investment Report and Cost/Benefit Calculations on our Wine Estates please click here.